Reflecting on his surprise appearance at the 2019 Royal Rumble, Jeff Jarrett recalls the details leading up to his return. 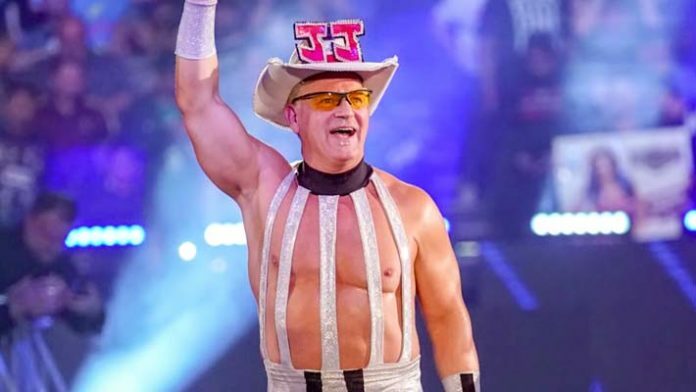 Jeff Jarrett made a surprise return to WWE at their recent Royal Rumble event. Double J broke a longstanding WWE record in doing so. Bar Nia Jax, Jeff was the only surprise entrant in the 2019 Rumble match. He would enter at number 2. Jeff Jarrett has played a few iterations of his character, so the first thing he needed to clarify was which version WWE was interested in using. As we saw at Royal Rumble, it was the old school Double J from the 90s. After locating his tights for that night, he figured out that it had been 24 years since he had last worn and portrayed that character. According to Jeff, he only found out he would be featured in the Rumble matchup days before the event itself. He claims he “didn’t have much time to prepare,” though WWE was able to provide a few missing items, including his hat.